Redwood Plastics and Rubber has over 15 years experience manufacturing rubber sheet, strip and rolls. 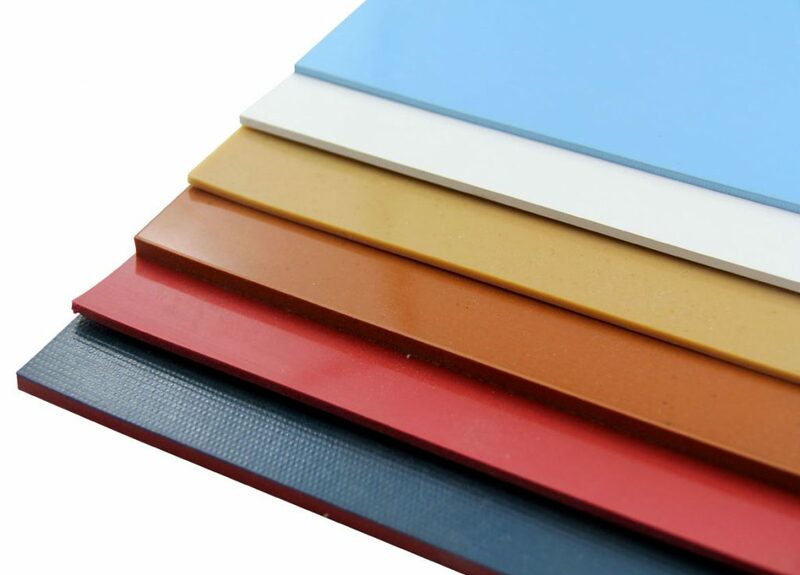 We offer a complete range of both natural and synthetic rubber materials, stocked as fully vulcanized sheets. All sheet rubber rolls are available for quick conversion and cutting into strips, cut rubber blocks, or custom CNC cut gaskets and parts made to your specifications. With a variety of rubber compounds available and many custom engineered compounds offered upon request; if we don’t stock it, we can manufacture the right material for your needs. With a large stocking-inventory of sheet rubber, Redwood Plastics & Rubber can supply full-rolls from inventory and ship custom CNC cut or slit parts quickly. Our product line includes three tiers of product-types, each balancing performance with economy, to bring value to every budget with a potential solution. General Purpose Grades are hard-working, economical blends of quality rubber compounds suitable for most industrial applications. Industrial grades are best selected when there is no requirement for a performance specifications and budget is a consideration. All General-Purpose products are designated with a “GP” in the product code. View all general purpose grades available. Commercial Grade sheet rubber materials are an upgrade in both performance and reliability. All commercial grades are designed to do their job in demanding heavy-duty commercial applications. Each commercial material is offered with minimum property specifications, technical data-sheets and are backed by Redwood’s commitment to reduce downtime and add value to your process. This technical group is identified by a “CG” in the product code. View all commercial grades available. Premium Grade materials are the result of years of engineering refinement in both specification grade and certified rubber compounds. Engineered and 3rd-party laboratory tested, each Premium Grade material is available with lab-testing reports and Certificates of Conformance. With products designed for specific applications including Ballistic Rubber, Food-Safe, Abrasion Resistant and many others. Redwood Plastics and Rubber manufactures materials that meets various international and government specifications. Premium Grades are denoted by either a “P” in their product code, or by the application of special trademarked trade-names, identifying each brand. View all premium grades available.